What is The Theory of Everything? At a surface level, the answer appears rather obvious: this is the story of a marriage. It is also, though, a capsule recap of Stephen Hawking's life in moments. Throughout the film there's a sense of what it should or could be versus what it is. It provides us with glimmers of an impressionistic type of cinema, but then back peddles into a very English, staid period piece. It turns our love story expectations inside out to show us the ugly side of their relationship, but then shies away from any sense of fallout. The film's first half is a very pretty, effectively devastating depiction of a love story against all odds, and in those scenes it makes sense that we're presented with the unfolding events as a flipbook of important moments. 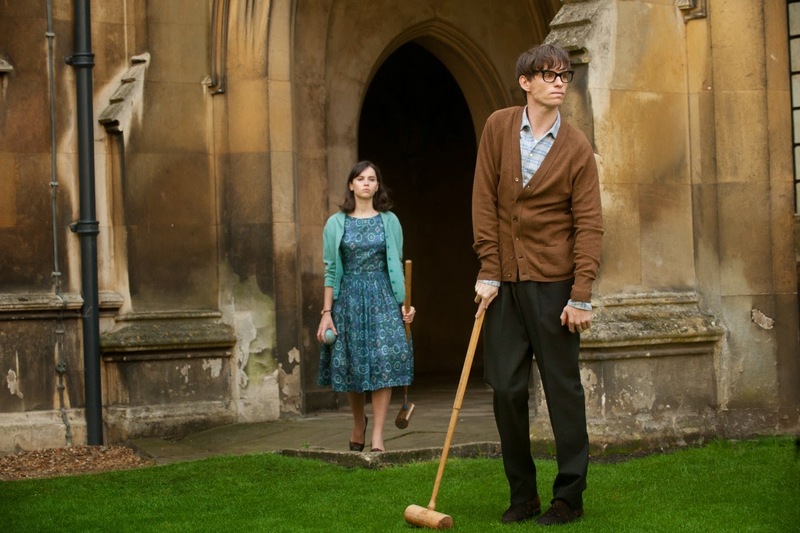 We see life as it was in Hawking's graduate student days at Cambridge, we're shown life as it could have been in Stephen and Jane's blissful, bantering courtship, and finally we're shown their shared commitment in the face of Stephen's battle with motor neuron disease. He's breaking down, both are struggling to keep things together. And then? The film sticks to the same formula. It never plateaus. It never seems to have a sense of what it wants to accomplish in its run time. Theory of Everything grows into a rhizomatic structure that tries to do so much that it begins to fall emotionally flat. 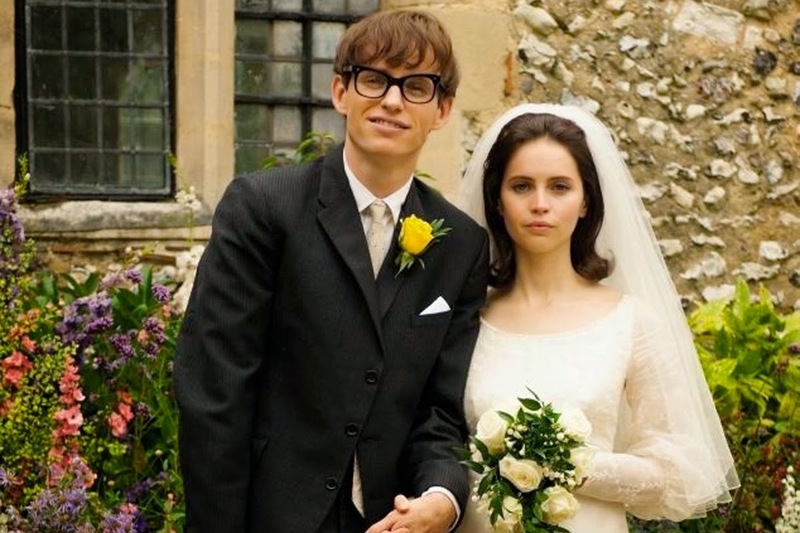 The further we get into the lives of the Stephen Hawking (Eddie Redmayne) and Jane Wilde (Felicity Jones), the more the film keeps us at a distance. There's a reason for this, of course. Though Stephen and Jane are both exceptional people with an exceptional story well worth the telling, they're also two exceptional people who are - at this moment - still very much alive. James Marsh produced the film with the former pair's cooperation, and it's appropriately reverent and rather reassuring. To his credit, Marsh does work to include scenes that speak to each party's frustrations with themselves and with their marriage. We get a long sequence that suggests a near poly-amorous arrangement as a crucial turning point in the film's tone. Frustratingly, though, this is also roughly the moment the film wears thin. Where we had previously been able to admire the performances here - because, let's be real, this is a movie about performances - as a striking progression working alongside narrative and cinematographic elements, now the film suddenly becomes a bland, very flimsily put together biopic about nothing more than showcasing performances. Where the early scenes ebbed and flowed, the latter half of the film feels like a collection of Oscar highlight reel clips. The characters are feeling things, but Marsh is reluctant to actually allow the film to explore them lest he paint either party as somehow unlikable. That's fair, yes, but it means that The Theory of Everything refuses to trust its audience to understand the complicated dynamics of Stephen and Jane's situation and why both might have grown weary in their shared holding pattern. The ending is too cold to feel truly alive, and with the film's undercurrent of survival and appreciating small moments, that's a tremendous failure. Redmayne and Jones deserve all the credit given to them this awards season, as both engage in transformations that demand rigorous attention to physical detail (yes, even Jane to an extent). Much could be written about them here, but most of what there is to say has already been circulating for some time now. So, I'll snub the performances a bit and stick to the whole picture. 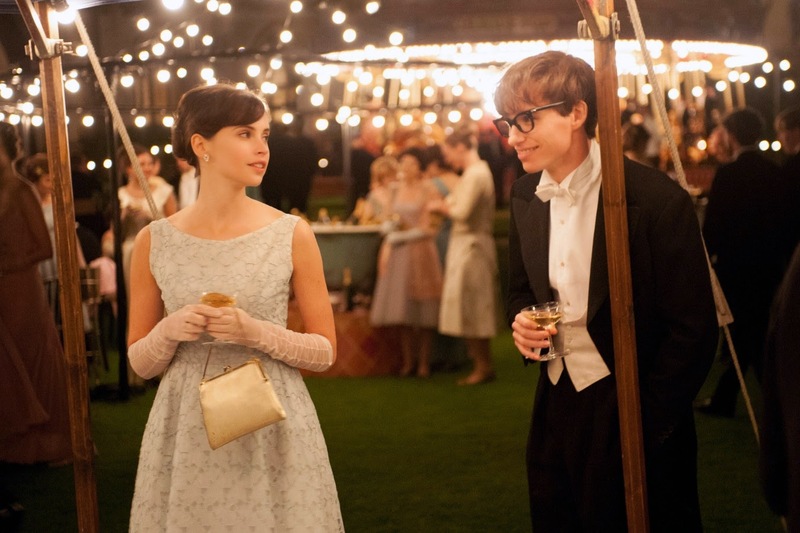 The Theory of Everything is too much of a monument. The moves it makes are prescribed, the structure beholden to a polite, non-voyeuristic distance that doesn't quite serve the art. So, the film feels like a memorial to not only the relationship, but to the individuals involved; a pretty placeholder, but wholly unexceptional compared to the people it represents. "Redmayne and Jones deserve all the credit given to them this awards season." YES. I think both their acting may be the best I've seen this year that no one is really talking about.